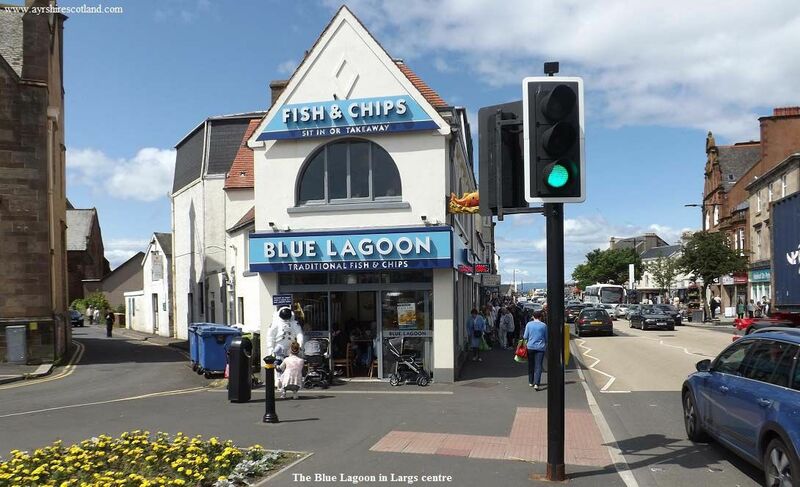 Information on Restaurants in Largs with websites, images and reviews. The Koh-I-Noor Indian Restaurant is situated on the Main Street close to the train station, ferry slip and beach. Koh-I-Noor is open from 16.15 - 23.00 daily. The Lounge is a bar, restaurant and club with a rooftop terrace for smokers. The restaurant offers Scottish food with a modern twist and daily specials. A traditional fish restaurant on the Main Street only a short walk from the sea front. Situated just south of the Pier, The Green Shutter serves Good British food served by very friendly staff. Regular menu plus specials with sea views. Open from 9am serving Largs finest breakfast fry up with as many cupfuls of cappacino, late or expresso you could want. Also served are"healthy options" of fruit, toast, yoghurt, jam and cereals. On Gallowgate Street Largs with views over Largs Bay and Cumbrae with a relaxing environment and delicious freshly prepared food that is really worth talking about. On Gallowgate Street Largs with views over Largs Bay and Island of Cumbrae is Morris’s Lounge Bar & Steakhous. Meals are served from 12.00 - 20.00 every day. An intimate, small fusion brasserie restaurant in Largs specialising in set course table d'hote menus.